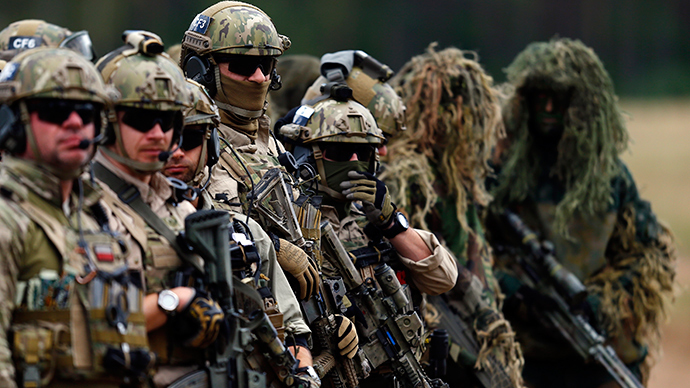 NATO says a plan by the European Union to create its own army would be ineffective. The military alliance’s secretary-general, Jens Stoltenberg, says the EU should make sure everything they do is complimentary to NATO and avoid duplication. "It's important to avoid duplication and I urge Europe to make sure that everything they do is complementary to the NATO alliance," he said, Reuters reported. The idea of creating an EU army to counter the perceived threat from Russia was the brainchild of European Commission President Jean-Claude Juncker, who spoke of his ideas to a German newspaper on Sunday. “An army like this would help us to better coordinate our foreign and defense policies, and to collectively take on Europe's responsibilities in the world," the European Commission he said in an interview to Germany's Welt am Sonntag newspaper. He said: "I think we need to celebrate the great cooperation that we already have with the EU," pointing to work the two sides have done on fighting piracy off the Horn of Africa and supporting peace in Kosovo, the DPA news agency added. Russian officials seemed nonplussed about the EU’s proposed plan, however, with lawmaker Leonid Slutsky saying the EU was paranoid about Russia. "The European version of paranoia: declaring the establishment of a unified army to counterbalance Russia, which does not intend to go to war with anyone," he wrote on his Twitter feed. Germany was the first country to support the idea voiced by Juncker. German government representative Christiane Wirtz said that Chancellor Angela Merkel was open to the project of a European Union joint army, but stressed that such a plan cannot be immediately realized. However, there is an acceptance amongst even supporters of the proposed EU army that funding it could be a problem. This is especially apparent when looking at how NATO is having trouble reaching its own funding targets. NATO has been keen to increase military spending within its bloc and has put pressure on member states to allocate at least two percent of their GDP to be spent on defense. In September, just two NATO members managed to reach this target, excluding the US and Britain. However, according to a think tank, the UK, one of the alliance’s strongest supporters will have trouble in reaching this target following May’s general election. The report, conducted by the European Leadership Network (ELN), predicts Britain’s 2015-16 defense budget will likely drop to 1.88 percent of UK GDP – its lowest level since the fall of the Berlin Wall. According to NATO’s official website, its military budget for 2014 was €1.4 billion ($1.48 billion). Alexander Neu, a Bundestag MP from Germany's Die Linke (Left) party, said that a European army is needed to loosen NATO grip on the continent. "NATO is an instrument of American influence in Germany and the EU. It's the instrument that allows the US to fulfill its agenda in Europe. A united EU army would question the dominant positions of the US within NATO," the German MP said.